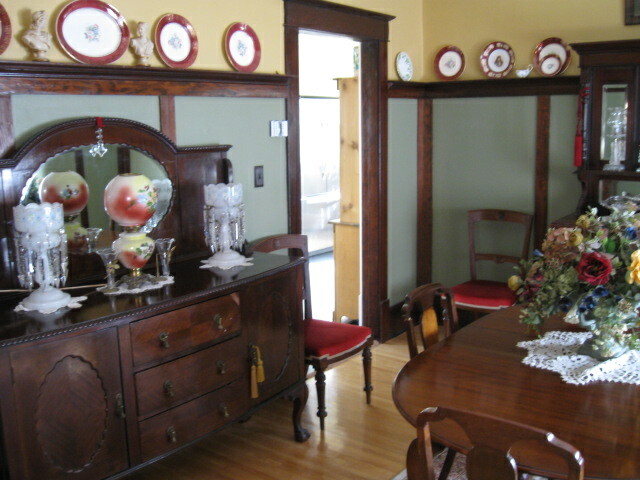 Millwork is a feature detail in heritage homes. It’s ok to boast about the authentic millwork in your heritage home. After all, it’s one of the things that make such a house special. Trying to replace missing original millwork, however, has the power to make a grown person cry from the frustration of finding the proper profile, the appropriate wood, and finally, finding the money to pay for it. If you’ve been to a lumber yard lately, the cost of the wood per lineal foot may just convince you to try to restore or keep what you’ve got. Millwork is the connecting thread between rooms. It the scale is wrong, it shows. Putting a 3 inch baseboard in a room with a 9-foot ceiling looks incorrect. The same goes for putting a 10 inch baseboard in a room with a 8-foot ceilings. The scale and proportions are off, and although the effect is subtle, it will show. As in my last post, I recommended that the homeowner or restorer check out houses that have original details. It can be a challenge to combine stock mouldings to approximate the originals. Another option is to get custom – cut knives machined and have new millwork made to fit the original perfectly. Matching the colour of new millwork to the original millwork may prove to be difficult too. Unless a person is skilled at matching stains and finishes, this might a job that is best left to professionals. Millwork connects rooms. Lougheed House in Calgary. – If a person can see the millwork in two rooms that are adjacent to each other at the same time, the wood should be given the same treatment. That means if one room’s millwork is painted, the second one should be as well. – Use old wood against old, and new against new. Putting new and old wood next to each other is asking for trouble – and who needs more problems?. A useful post, Johanna. The millwork in our 1860’s house house is so wonderfully thick that I give thanks for it and hope we’ll never have to replace any of it. Yes, it would be almost impossible to do so without having the wood custom-milled. Those were the days when a 2×4 was actually 2 inches x 4 inches! We had some fire damage to a door frame & it had to be replaced. Luckily they had used the same casings on the inside of closet doors. Yes, closets are always a good source of original millwork. Interesting article. 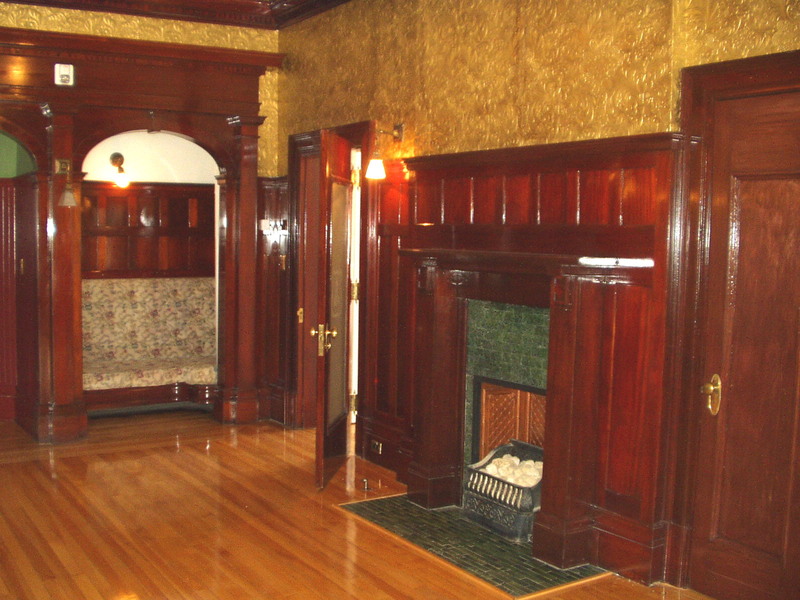 Question: our large two-story Victorian style house was built ca1915 with very plain woodwork. We added decorative interior door casings on the ground floor after previous owners destroyed the casing profiles when adding sheetrock. I have plain square blocks in the corners–not bulls eye. In a house of that year, should door & window casings be joined at corners with no block at all? If a block is appropriate, what design would be correct? It will be hard to miter the corner casings at this point. I’ve thought about covering the corner blocks with a decorative porcelain tile. Would that be better than a bulls eye or plain block for that year house? There are a few issues in your question that would affect how I would answer your question. The first is the age of your house. If your house is indeed from 1915 then a Victorian style would have been very out of date in terms of style. If the builder was the original owner then perhaps that is the case – he simply liked the style. In that case you could follow the Victorian styles with corner blocks. The same could be said if your house is actually older than 1915. On the other hand if the styling is more typical of homes that were built in 1915 such as four squares or similar homes, then the millwork would have consisted of plain casings on both sides of the door with a plinth at the base. The top of the door had a horizontal piece, called a frieze or entablature, separated from the side casings by a thin strip of wood called a fillet. 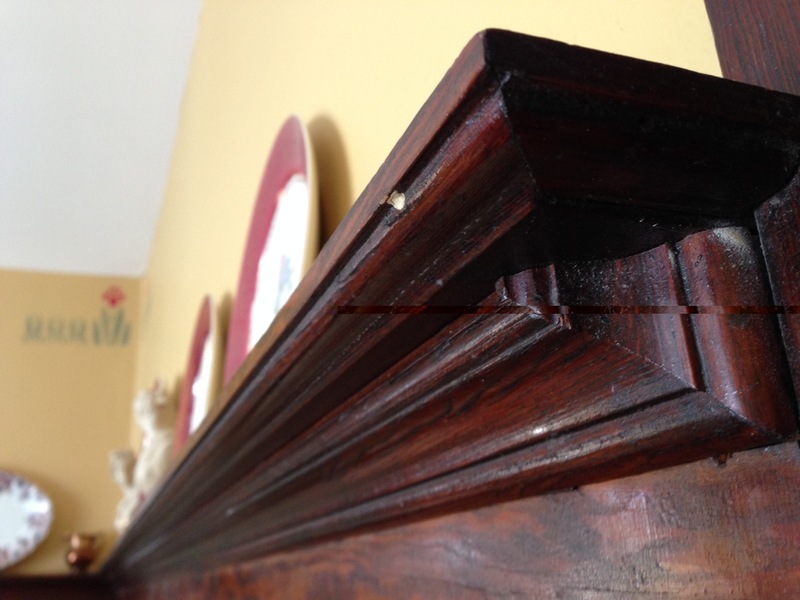 Depending on how wealthy (or not) the homeowner was, the horizontal piece would have been capped with a cornice – style moulding. Even Victorian doors had these styles of door trim, but the difference was that the Victorian designs were more ornate. Wide, mitered casings became popular mostly in the 1920’s and beyond.